Dodd, S. & Denton, J. (2008). 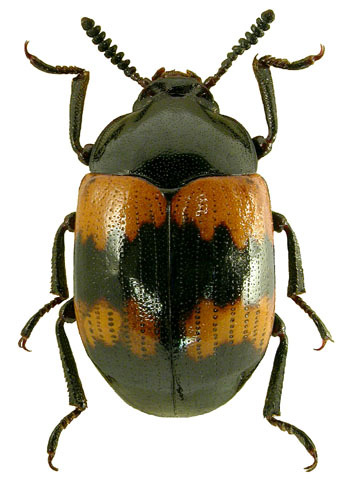 Recent records of Diaperis boleti (Linnaeus) (Tenebrionidae) in Surrey and North Hampshire with an update on the current British distribution. The Coleopterist 17(3): 155. Bowdrey, J. (2002). Diaperis boleti (Linnaeus) (Tenebrionidae) new to Essex. The Coleopterist 11(2): 45. Alexander, K.N.A. & Edwards, M. (1997). Diaperis boleti Linnaeus (Tenebrionidae) widespread on the Sandlings Heaths of East Suffolk. The Coleopterist 6(1): 46. Denton, J. (1997). 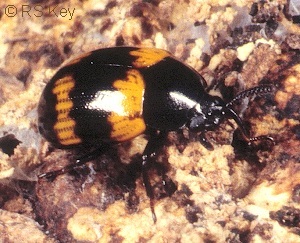 Diaperis boleti (Linnaeus) (Tenebrionidae) in Norfolk. The Coleopterist 6(3): 108.